Q1. Find the zeroes of the following quadratic polynomials and verify the relationship between the zeroes and the coefficients. Verifying the relationship between the zeroes and the coefficients. 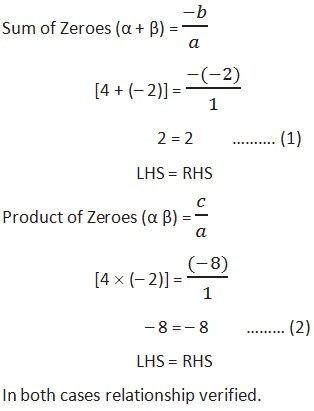 Q2. . Find a quadratic polynomial each with the given numbers as the sum and product of its zeroes respectively.